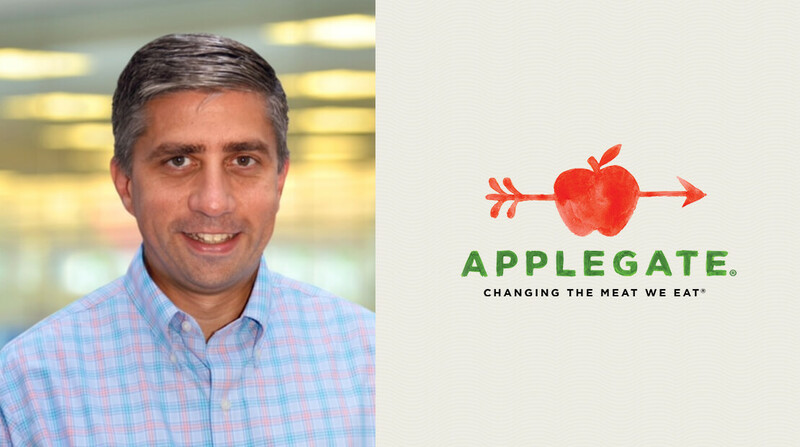 Applegate®, the nation’s leading natural and organic meat brand, announced that John Ghingo will assume the position of president, and the company’s Senior Director of Mission, Gina Asoudegan, will be elevated to vice president of mission and innovation strategy. Applegate Farms, LLC (Applegate) is a stand-alone subsidiary of Hormel Foods Corporation (NYSE: HRL). Most recently Ghingo was the president of plant-based foods and beverages at The WhiteWave Company. Asoudegan has been with Applegate since 2006 and will report to Ghingo. Prior to WhiteWave, where he led the Silk and So-Delicious brands, Ghingo spent 16 years at Mondelez. At Mondelez (formerly Nabisco and Kraft), Ghingo worked in various marketing leadership positions across several brands and divisions, including Belvita, Chips Ahoy, Oreo and Ritz. He is a graduate of the University of Notre Dame and earned his MBA at New York University Stern School of Business. Ghingo is a member of the national board of directors for After-School All-Stars. He resides in Verona, New Jersey with his wife and four children. When she joined Applegate in 2006 as director of communications, Asoudegan worked closely with NGOs to raise awareness of food-system issues, including antibiotic resistance and GMOs. In her expanded role, she will oversee product innovations that are designed to create a consciously scaled supply chain. Asoudegan is on the leadership team of the Non-GMO Supply Working Group (an initiative of the Center for Sustainable Solutions), an advisory board member at the Sustainable Food Lab, on the advisory council for The National Young Farmers Coalition and was instrumental in securing Applegate as a founding partner for the Savory Institute’s Land to Market™ Program, the world’s first regenerative sourcing solution for livestock-derived meat, dairy, wool and leather. She resides in Lambertville, New Jersey with her husband.